For some reason, I've always associated Stuart Weitzman with my mother . Oh well her shoe closet is somewhat over flowed with countless pairs.. 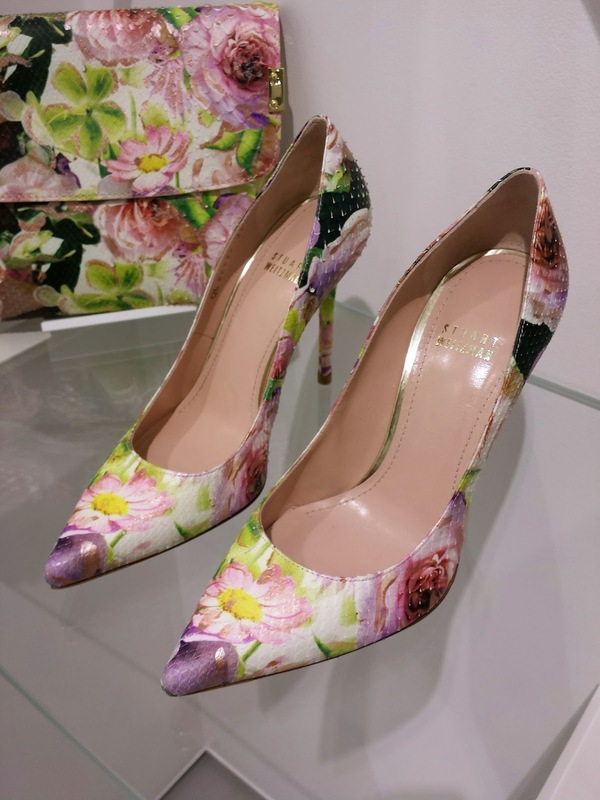 But passing by their branch in Al- Raya Center the other day centrally made me change my mind about my pre-assumption.. And my growing obsession with pointed two pumps seems to increase, so the two pairs are classy with a twist to them. 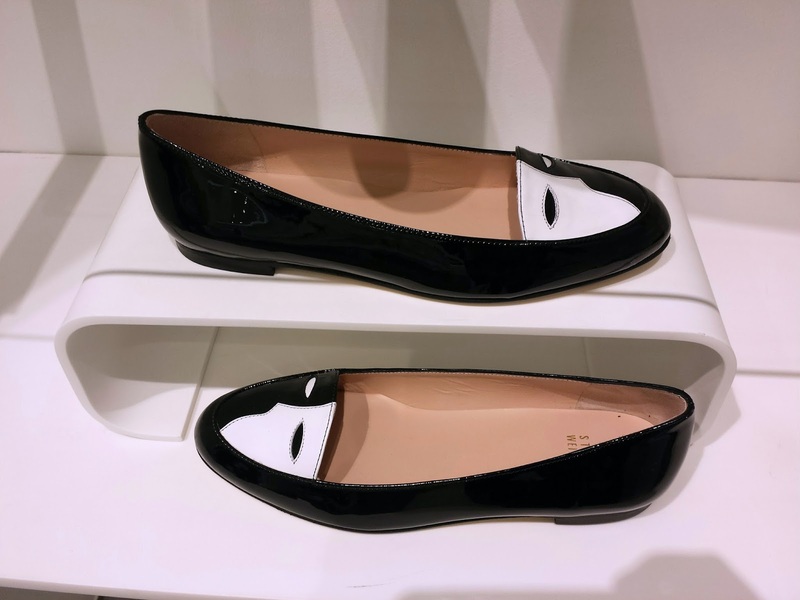 I certainly can't pick a favourite among the blue python or the floral one below ..
And the perfect thing to add to my quirky flats collection is this patent leather flats, black and white just suitable to my everyday work attire .. 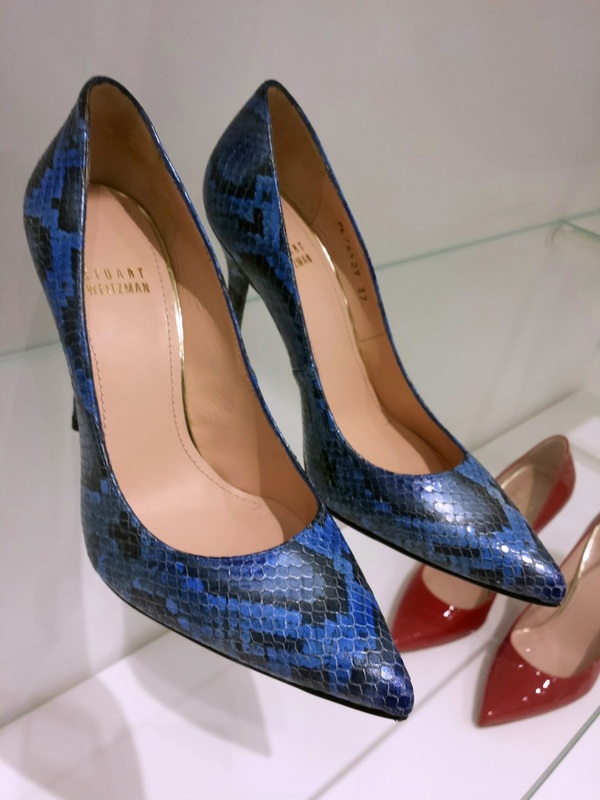 The good news is that Stuart Weitzman also opened in The Avenues as well..